I've worked on a number of sites over the past few years all have had their merits but none of them could avoid every single error. Take solace in knowing that no site is perfect, nor will it ever be perfect, your site may stumble here and there but as long as you don't let it slip (yes, Stevie G, this does not slip now) it can always end up a winner. In the spirit of winning, here's a top tip for site owners and webmasters, keep a watchful eye on those 404 errors, every site has got them, no site can live without them. Why should you have a 404 page? Mistakes happen everyday machine and man alike so it's important to prepare for the eventuality of the situation. Having a customised 404 error page can help lost users who have entered from either an old indexed link within google, a wrongly created referral link, a tracking link error from your social media posts and more. 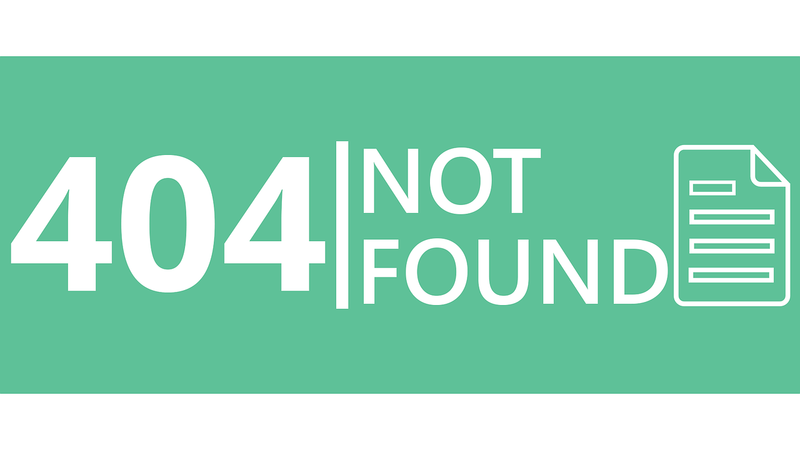 Your 404 page is a contingency plan and has to keep their attention and at least provide them with important links back to your website or a navigation which allows them to browse the menu from the 404 page. Why should you monitor 404 errors? Taking note of how many of your users are hitting 404 pages and making provisions to limit the amount of users and ensuring your 404 page is as helpful as possible can capture of a lost customer and increase conversion, improve crawl rates by search engine bots and salvage lost link equity from referral sites, all in all improving your site's SEO. You can monitor your sites 404 errors using google webmaster tools also known as search console as well as Bing Webmaster tools. This will give you an overview of where google and bing bot are hitting 404 errors on your site. However these tools do not indicate to you which 404 errors are receiving the most hits or which have valuable backlinks pointing towards them. Not all 404 errors are created equal and some need to be fixed sooner than others, while others don't have to be fixed at all. How to prioritise 404 errors? Using another one of googles nifty set of tools, Google Tag Manager (personally one of my favourite tools since its revamp in August of 2016) you can automate this process. Using GTM you can set a trigger to fire an event to google analytics whenever a user hits a 404 page, where the user came from ie google, social media site, email etc. and how many users landed on that page. All this will be sent to your google analytics under events and you can easily draw easy to understand report to see which 404 errors need your attention and you can take a course of action. Either to implement a 301 redirect or correct the broken link wherever it may be on your site. As simple as that your 404 is no more.